We examine the collaborative practices of an interdisciplinary research team working across Cameroon and the United States to study the dynamics of a floodplain fishery as a coupled social-ecological system. Based on three years of survey data following team meetings, we discuss the challenges we encountered and explore the elements that ultimately allowed our heterogeneous scientific practices to “hang together.” We show how it was useful for us to consider different outputs of the project, in particular our integrated numerical model, as snapshots of epistemic processes supporting interdisciplinary exchange rather than purely as research products. We also argue against the pursuit of epistemological consensus within interdisciplinary research teams, and instead for accepting and even supporting multi-epistemological friction, or the messy and creative process of making connections across differences. The research underpinning this chapter was financially supported by a National Science Foundation grant, Dynamics of CNH Program: Exploring social, ecological, and hydrological regime shifts in the Logone Floodplain, Cameroon, Mark Moritz (PI), Michael Durand, Ian Hamilton, Bryan Mark, Ningchuan Xiao (BCS-1211986). We want to thank all MORSL members in Columbus and Maroua who have taken the time to fill out the survey at the end of team meetings. de Montclos, M.-A. P. (Eds.). (2014). Boko Haram and Politics: From Insurgency to Terrorism. In Islamism, Politics, Security and the State in Nigeria. French Institute for Research in Africa/Institut Français de Recherche en Afrique. Retrieved from https://openaccess.leidenuniv.nl/bitstream/handle/1887/23853/ASC-075287668-3441-01.pdf. Jung, H. C., Alsdorf, D., Moritz, M., Lee, H., & Vassolo, S. (2011). Analysis of the Relationship Between Flooding Area and Water Height in the Logone Floodplain. Physics and Chemistry of the Earth, 36, 232–240. https://doi.org/10.1016/j.pce.2011.01.010. Laborde, S., & Ahmadou, M. (2017). Fishing Canals of the Logone Floodplain (Ethnographic Film). 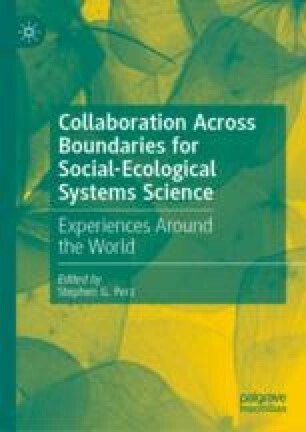 In F. Krause, T. Salverda, S. Kloß, A. Hollington, N. Schneider, & O. Tappe, Voices Around the World – Social Water. http://voices.uni-koeln.de/2017-3/socialwateranintroduction. Laborde, S., Phang, S. C., Ahmadou, M., et al. (2018b). Co‐producing Research in the “Red Zone”: Adaptation to Fieldwork Constraints with a Transdisciplinary Approach. The Geographical Journal, 184, 1–15. https://doi.org/10.1111/geoj.12264.